Come and experience the quality food and service that we provide every day of the week. 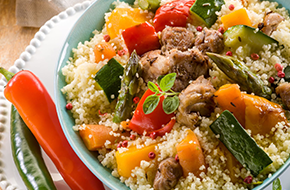 When searching for African food at an affordable price, look no further than Lilly’s Corner. 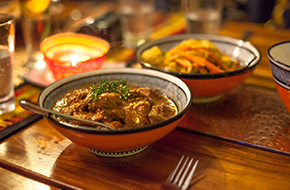 For exceptional African cuisine, Lilly’s Corner is the top choice every time. 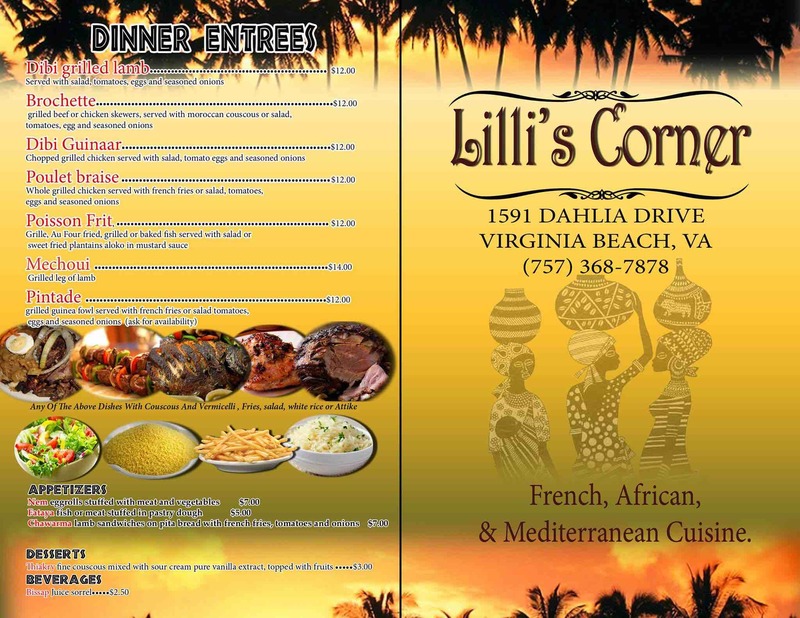 Providing the finest in African cuisine in Virginia Beach, VA, Lilly’s Corner is quickly establishing itself as a name that is always being looked to by customers throughout the area. Even though we have been in business for only a short period of time, we’ve been successful due to our desire to please all customers to the extent that when they search for a reputable African restaurant—they automatically think of us. Our delicious food is equaled by our dedicated and proven staff that is tops in the business. You will be warmly and graciously greeted from the moment you enter our door. We aim to make it a very pleasant and unforgettable experience whether you are dining with us, taking out or have a catering event. No matter the need, we are here – with convenient hours—which is why people are learning every day that we are the only choice for the best food in the industry. Come by today and you will agree. 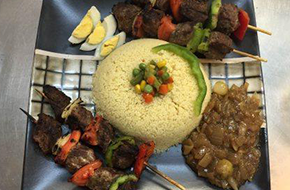 At Lilly’s Corner, you can count on us to provide the best in authentic African dishes. We are conveniently located with easy access and our staff works hard to improve ourselves day by day. A strong reputation is something that a restaurant has to earn and we go out of our way daily to continue to prove that point. Without your patronage, we couldn’t build on what we have established to this point. Our dishes are flavorful and spiced according to our customers preferences from mild to super spicy. We aim to please. The staff at Lilly’s Corner continues to be trained so that we may remain experts in our field. We are committed to providing an exceptional dining and social experience by promoting our unbeatable African food. Visit with us today so you can experience African food at its finest.